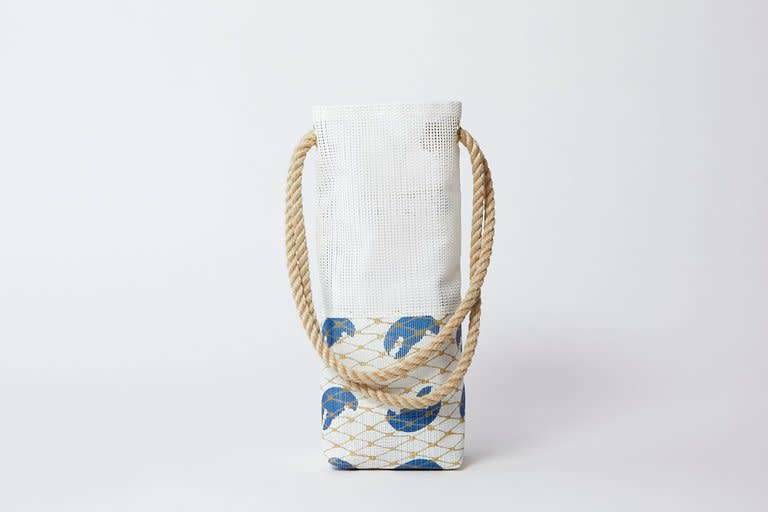 Inspired by a lobsterman's bait bag, this wine tote was created using the same marine grade material. Durable, yet ultra chic, it's ready for wherever life takes you. Hand printed and sewn in Maine. The perfect hostess gift! Marine-grade PVC-coated poly mesh with brass grommet.